IWD (08th March) is an occasion marked by women's groups around the world. This date will be commemorated on 8th March, 2008 by NAFSO together with 22 civil organizations who are representing all working sectors in Sri Lanka at 12 AM Colombo at the Lipton Rounder Board. Before starting this protest a press conference also will be held @ Mahaweli center , Union place in Colombo as well as all these group will be gathering to Viharamaha Maha devi open air space. IWD is designated in many countries as a national holiday. Women across the globe, often divided by national boundaries and by ethnic, religious, linguistic, cultural, economic and political differences, come together to celebrate IWD with us and fight for equality, justice, peace and development. At least 1000 of women will be joined with us to celebrate IWD tomorrow at Lipton rounder Board @ 12 AM in respect of under main themes. 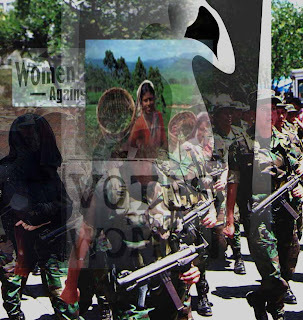 In women’s point of view on the ethnic conflict and present political conflict. In Women’s point of view on economic set backs and the cost of living, in which people are being exploited. Women’s condition after 60 years of freedom. All come and join with us for defeating this unbalance social system.